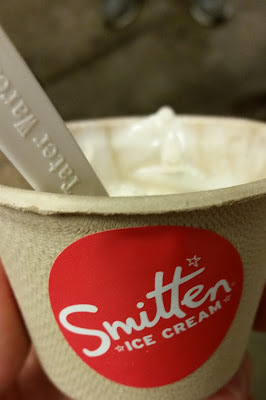 After eating dinner at Zachary's Chicago Pizza, my friends and I decided to walk across the street and get dessert at Smitten. 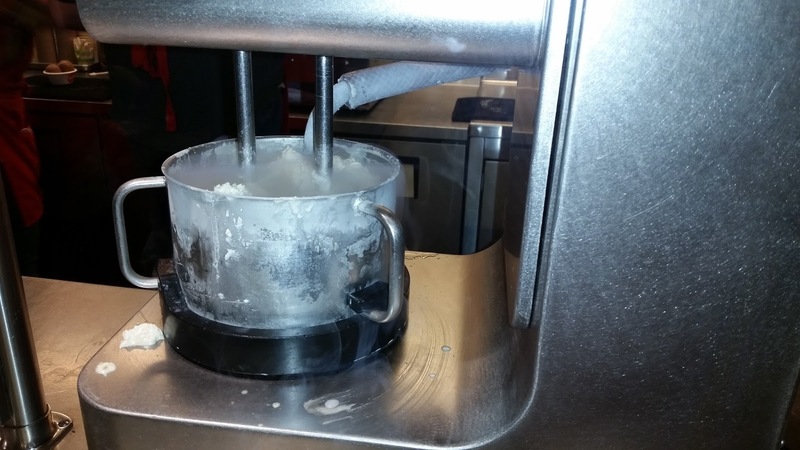 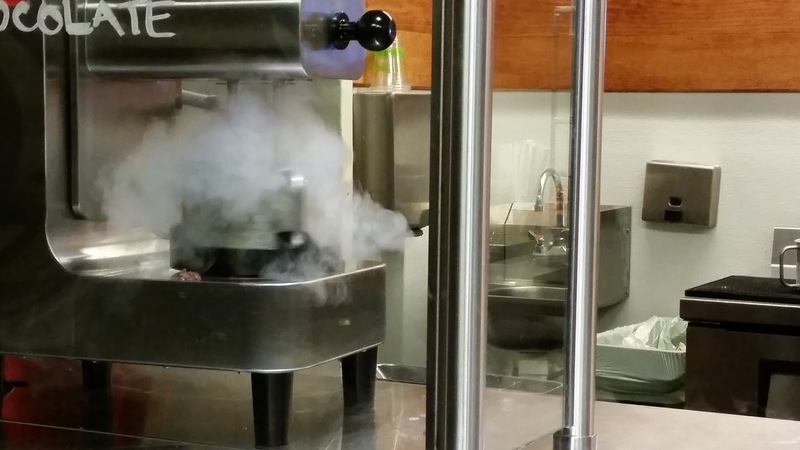 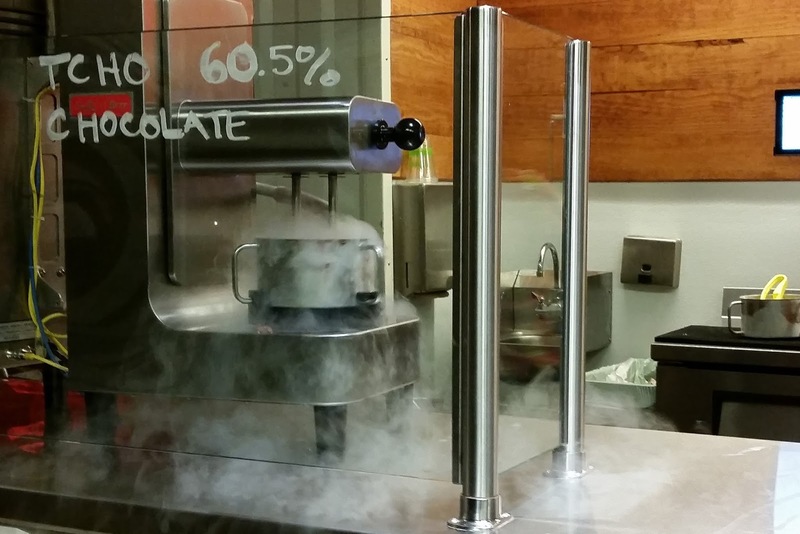 Like Creamistry, Smitten makes their ice cream with liquid nitrogen. 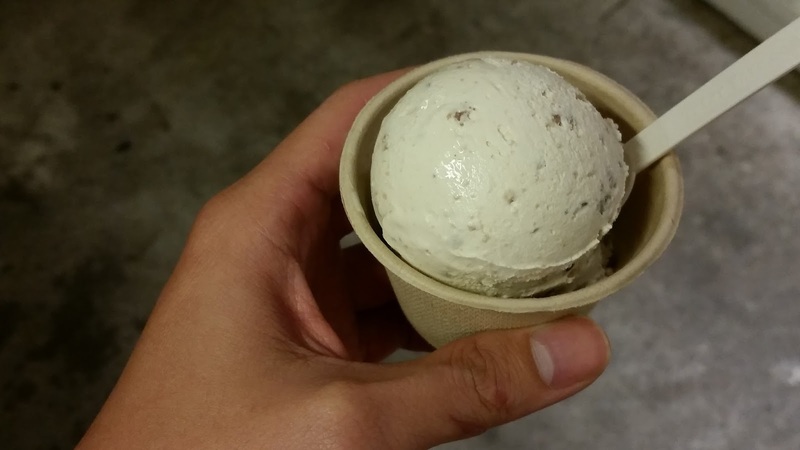 Looking through the menu, I decided to order a small cup of cookie dough. Overall, it was not overly sweet, which was good. In particular, I liked how the little bits of salt rounded out the flavor.